[QUOTE=philipchan;4115970]Over all we had a very good show IMO, Sevenstock FTMFW!!! What the hell is going on with that engine stand!? brkinshiz wrote: What the hell is going on with that engine stand!? Is there something I'm missing going on here? See I'm not the only one with a, glow in the dark weedwhacker! Why are there all of these RX-8s??? And I didn't see a single Lotus Seven. 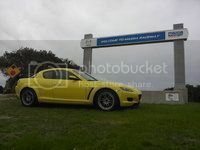 Douche Bag Boy wrote: Why are there all of these RX-8s?? ?